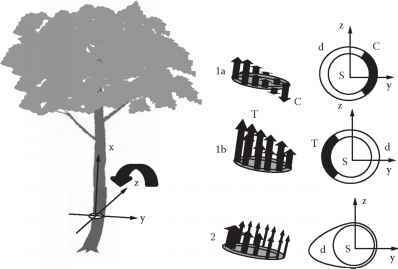 It may be logical to assume that trees submitted to gravitational or wind forces would lean more and more during their life span; however, stems can maintain or restore verticality more or less continuously using gravitropic reactions. Two "motors" are involved, both of which are relative to internally induced, asymmetric strains resulting in stem curvature. Initially, hydraulic turgor pressure in primary tissues associated with asymmetric growth can lead to reorientation of the apical, unlignified part of stems in just a few hours or days . In other regions of the stem, where elongation has been achieved but radial growth is still active, the process of wood cell differentiation during maturation is modified, resulting in the formation of a particular type of wood called "reaction wood" [12,141,142]. This reaction wood is largely responsible for the control of the tree-righting mechanism. This second type of gravitropic reaction, which occurs during secondary growth, is much slower than the first, and the stem may take several months to several years, if at all, to straighten up, depending on its size. The mechanism by which the stem rights itself occurs during cellular maturation and is associated with the shrinkage of fibers or tracheids [143,144]. In normal wood, as the newly created wood cells are "glued" onto the central core of existing stiff wood, shrinkage of these developing cells is impeded. Therefore, the peripheral wood is "stretched." Internal tensile forces along the grain are then generated and can be considered to act similar to a guy-rope system. When stems perceive the disequilibrium related to vertical growth, the wood structure and/or speed of cambial growth are modified on one side of the cross section, resulting in an asymmetry of these peripheral forces, and thus stem bending is induced (Figure 1.5). In gymno-sperms, reaction wood formed in leaning stems is called "compression wood"  and tends to expand instead of shrink during maturation. Therefore, the peripheral force is compressive and is formed on the lower side of a leaning stem, on the opposite side to normal "stretched" wood . In angiosperms, tension wood forms on the upper side of leaning stems . During maturation, this wood shrinks with a higher resulting tensile force [143-145]. Both the origin of maturation strains and their variability in compression and tension wood can be explained by structural features at the cell wall level [145-148] and in particular, by the high MFA of compression wood . FIGURE 1.5 Gravitropic reactions are induced by an asymmetry of peripheral tensile forces generated at the end of the wood cell differentiation process. Both the asymmetry of the wood structure in the case of (1a) compression wood formation on the lower side and (1b) tension wood formation on the upper side of a leaning stem, and (2) the asymmetry of growth, are involved (see Equation 1.2). of released peripheral strains [143,152], which have also been used for studying growth stresses [145,153]. where Aa is the difference in maturation strain between the maximal value of shrinkage and the minimal value on the opposite side (in opposite wood for angiosperms or in compression wood for gymnosperms with a negative value because the wood does not shrink but rather expands), D is the diameter of the cross section, and dD, the increment of diameter (radial growth). Such an equation indicates that the initial size (D) is a constraint to the tree during stem reorientation. Young stems can thus be reoriented much more efficiently for a given amount of radial growth. In a general sense, Equation 1.2 gives relative scaling ideas about geometrical growth and anatomical effects. For instance, for a given diameter D, Aa = 0.005 (which corresponds to the formation of very strong tension wood) associated with a relatively slow growth of dD = 1 mm/yr should have the same effect as Aa = 0.00025, i.e., a slight asymmetry that does not require the formation of typical tension or compression wood, associated with a faster growth of dD = 20 mm/yr. At this stage, the ecological significance of gravitropic curvatures induced by the asymmetry of tensile peripheral forces may not yet be obvious because reaction wood, usually opposed to "normal wood," could be supposed to be a quite rare and even a "pathological" phenomenon. Although the gravitropic function is well known [141,142,154], the formation of reaction wood is often assumed to be a response to mechanical stress (e.g., Turner ) associated with a lower technological wood quality  and not a motor process that counteracts the physical bending forces relative to growth and gravity, essential for the achievement of vertical growth in tree communities. The derivative of the function WH sin 0 with respect to cross-sectional growth S can be obtained using allometric relations. 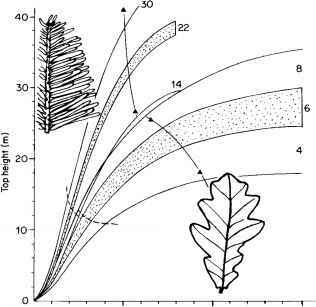 FIGURE 1.6 Comparison between two main bending processes in a community of saplings in a 750 m2 plot of the tropical rainforest in French Guiana (DBH between 0.02 and 0.05 m): reaction and gravitational curvatures (see Equations 1.3 and 1.4) have been calculated for trunk basal cross sections (0.5 m height), using measurements of geometry (diameter, length, lean), weight (trees were cut and weighed), and maturation strains (Wap's method; see ) (Fournier, unpublished data). organ scale, inclination of the tip (or local inclination) is still usually considered as the perceived variable, the Cholodny Went theory for elongating organs , and is used in the modeling of gravitropism [37,151]. However, the kinematics of the gravitropic response has revealed distinct phases: initially an upward curving occurs, i.e., a gravitropic response, followed by a phase of straightening out or autotropism, which is the automorphogenesis necessary to restore verticality of the whole organ. This straightening out has been observed in a wide range of plant organs and species . Kinematical analyses of the gravitropic response demonstrated that autotropism starts well before the organ reaches the vertical [155,156]. 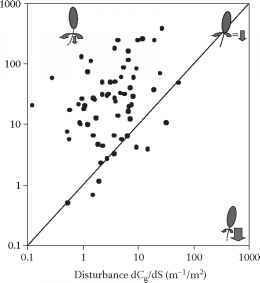 This shows that the other variables are perceived to pilot the reorientation processes. At the cellular scale, signal transduction has been much more studied with an emphasis on cloning genes involved in signal perception along with the role of the cytoskeleton. Through results from studies of gene expression, several gravi-sensing patterns have been hypothesized, but all are based on sedimentation of organites, such as statoliths and proteic globules. During their sedimentation, these organelles are thought to touch the rough endoplasmic reticulum and disrupt the cytoskeleton actin filament, thus resulting in an activation of mechanosensitive channels or stretch-activated channels. More recently, several authors have suggested that gravi-perception could rely on an activation of mechanosensitive channels of the plasmalemma induced by sedimentation of the entire cytoplasm. This mechanism suggests that strain could be the perceived variable, but no experimental study or mechanical model of gravi-sensing at the cellular scale has yet been carried out. Further work should concern more studies in the field as well as in controlled environments whereby bending movements, such as stem longitudinal shape, curvature, and lean, at the whole trunk level are studied more carefully. The specific diversity of responses associated with the diversity of reaction wood structure and growth geometrical patterns with respect to reorientation efficiency and cost should also be investigated further.